Eating salads almost every day may be one of the most healthy eating habits you can adopt. Salads make a substantial contribution to disease prevention and healthy weight management. Carrots are a powerhouse of nutrients like vitamin A, vitamin C, vitamin K, vitamin B8, pantothenic acid, folate, potassium, iron, copper, and manganese. Green beans are a good source of protein, calcium, silicon, iron, manganese, potassium, and copper. They also contain vitamins like A, C, K, B6, and folic acid. 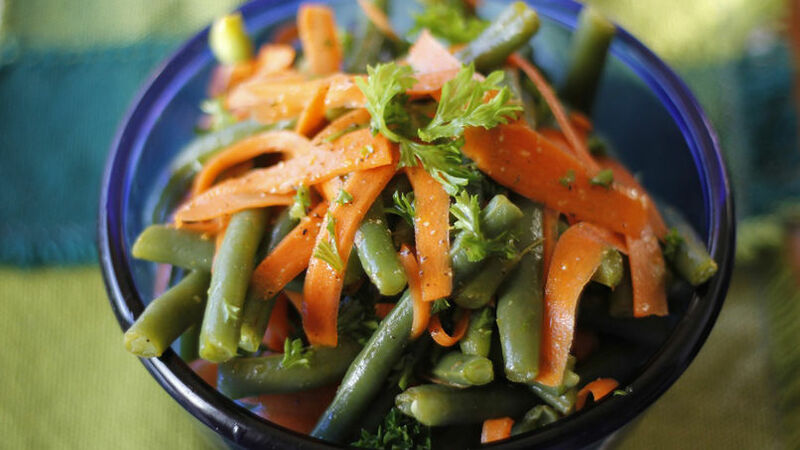 Here are 7 versatile green bean and carrot recipes with different combinations and dressings that ensure you never get bored eating salads. A delightful summer salad with zucchini, green beans and carrot juliennes tossed in a olive oil dressing flavoured with lemon juice, dijon mustard, cayenne pepper and honey. Light, zesty and colorful, this delightful carrot and bean salad combines blanched bean sprouts with sliced carrots and spring onion. The dressing is made with olive oil, apple cider vinegar and light soy sauce. Carrot and green beans are cooked along with spring onion and garlic till the vegetables are perfectly tender. Butter, tarragon and honey are added to the warm vegetables and tossed till the butter melts and coats the vegetables. A very lemony dressing made with lemon rind, lemon juice, olive oil and basil add a fresh and cooling touch to this colourful summer salad. Remove the cooked green beans from the hot water and immediately transfer them into cold water to prevent them from overcooking and help conserve the green color. 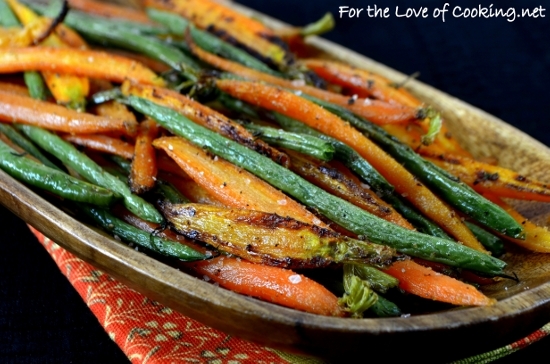 The carrots and beans are drizzled with olive oil and baked in an oven till tender, yet slightly crisp. Toss with Himalayan salt, freshly cracked pepper, thyme and garlic powder to make this healthy and delicious green bean salad. 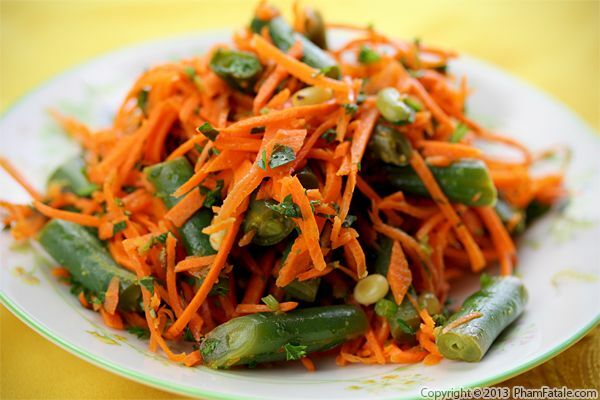 Shredded carrots, blanched crunchy green beans and toasted pine nuts are tossed with lime juice, olive oil and parsley. Season with salt and pepper to suit your taste. The dressing for this gingery asian green bean and carrot salad is made with sesame oil, light soy and rice vinegar. Toasted white and black sesame seeds are sprinkled over the bean salad before serving. Certainly enjoyed this web site. You amazingly come with impressive article content. Thanks a lot. I just want to tell you that I am newbie to weblog and truly savored your website. Probably I’m going to bookmark your site . You absolutely come with wonderful posts. Kudos for sharing with us your web site. We have understand some good material in this article. Absolutely value social bookmarking intended for revisiting. I surprise the amount hard work you place to generate these kinds of spectacular insightful website.